If you’re in need of someone to serve notices, summons, or subpoenas in Aurora, CO then we have got your back. Colorado Attorney Services can perform such services in a timely manner with great service every step of the way so that you don’t have to think about it. Making sure that you have the right company to perform such services is important because there are legal procedures to abide by as well as laws that must be taken into consideration. We ensure that all such procedures and law are always followed so that you get a service you can trust. We don’t just give you a company that you can trust but we also give you a company with over 20 years of experience as running one of the biggest processing firms in the nation. This allows for us to show you that we are more than just another process server firm, but we are people who care about the ones we meet and the work that we do. Colorado Attorney Services welcomes the chance to gain your trust and show you that we are a company that performs more than just a job. We are a company that is about caring for the needs of our clients. 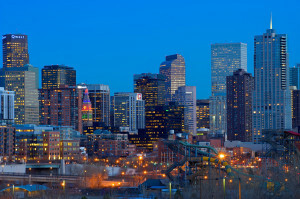 "Denver Attorney Services has been so effective and timely on every project my firm has given them. We will continue to use them for all of our process service and investigation needs. Thanks Mick and Rick!"